There are two sections to this page. The first is an overview of the approach we take to study. The second section describes the work that took place over the previous academic year (2016/17). As at any other age level in Montessori, the emphasis is on cultivating the student’s capacity and motivation to be independent and lifelong learners. Our experience is that passion is what fuels the pursuit of knowledge. 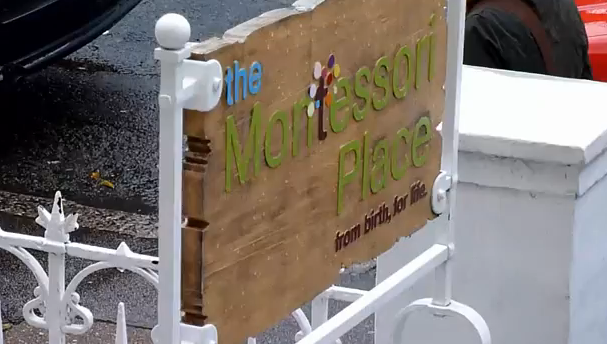 Since each student is unique, and passionate about different things at different times, the emphasis in the Montessori approach is to create an environment in which students have freedom to pursue their interests, under the mentorship of a Guide who ensures they are growing in intelligence, skills and knowledge. There is an atmosphere of delight in discovery; that knowledge isn’t a burden but a privilege, and that learning is fun. Faculty (called “Guides”) offer lessons to individuals or small groups, based on their interests, needs and capacities. These lessons are typically (though not always) related to work for which the adolescent is showing strong interest and engagement and allows them to go further and deeper. The lived experience of working on the land provides adolescents with an endless series of motivations for academic study focused on both nature and civilisation. For instance, we needed to have a system in place to process food waste from the kitchen. We wanted to be sure that any food waste we generated would be treated in the most environmentally-friendly way possible. Our simultaneous need to purchase compost for the walled garden led to an obvious solution: to make our own compost. An exploration of composting techniques led us to a Japanese technique called Bokashi. Very quickly the young people became conversant with aerobic and anaerobic digestion, the kinds of bacteria in organic matter, the composting cycle, questions of acidity, the composition of soil, local geology and so on. The practical dimension made the whole business more interesting, and all the more because it met a real need. There is something very powerful about experiencing for oneself that study has purpose, that what is being learned has meaning. And when adolescents feel their work has meaning, they are prepared to work very hard. The Guide meets with each student regularly, initially weekly and then as often as the student needs. The purpose of these one-to-one meetings is for the student to take increased ownership of their learning and be increasingly responsible for deciding how to use their time. The Guide facilitates this process, providing greater or lesser structure and direction for the fortnight and months ahead, depending on the individual student, in light of their longer-term goals. The Guide’s objective is to help the student manage their time well, keeping the educational objective in mind. The meetings are an opportunity for the student to discuss where they are in their work, what they would ideally like to continue working on over the next couple of weeks, and what additional support they need from the Guide and other faculty during that period. They are also an opportunity for the Guide to suggest areas for further study, and to schedule in lessons or practice time that the faculty think necessary or beneficial for the student’s progress. These one-to-one meetings between student and Guide form the backbone of the bespoke education offered in the Young People’s Community. A large open-plan study area is the focal point for this work, prepared with relevant educational materials for the different subjects: probeware for Science, artefacts for History, or manipulative materials for Maths. The study area includes a library in a beautiful conservatory, an art and craft studio, a workshop and an integrated science laboratory. Within this study area subject specialists deliver one-to-one and small group lessons, and facilitate seminars that add diversity and depth to the students’ fields of interest. In the Montessori approach, the day is structured around uninterrupted time called “work cycles”. These are blocks of time that are open-ended. All classroom learning takes place within the structure of the work cycle. There are no bells that ring after 45 minutes, and there is no fixed weekly schedule for what happens within those work cycles. Each individual works at their own pace, each spending time learning what they need to learn, under the mentorship of their Guide and with the support of the faculty. The (non-resident) young people’s community has two work cycles: two sets of 3 hours (in the morning and afternoon). These open ended blocks of time are fundamental to the Montessori approach. Lessons are given to individual or small groups during the work cycle. These are mainly spontaneous with the young children, partly scheduled with the older children, and mainly scheduled with the adolescents. For adolescents, these schedules are determined in the one-to-one meetings with their Guide, as described earlier. Students have all the time they need to work independently or collaboratively within and across work cycles. Freedom from fixed schedules means that students are able to work for lengths of time on projects that interest them. Their work becomes very individual, based on their personalities, their interests, their motivations, and their life experiences. They take pride in their work because they feel a sense of ownership over it, and this is reflected in the quality & attention to detail they bring to their work. Students are prepared to sit their GCSEs at age 16. Throughout their time in the Young People’s Community the course content of different GCSE subjects is made available. We draw upon the National Extension College (NEC) iGCSE course materials, making adaptations where appropriate to draw on the benefit of the experience of other Montessori secondary school programmes, on the particular features of the woodland and walled garden itself, and on the local community more generally. By 15 or 16 they have typically developed a clearer sense of the contribution they wish to make as an adult and have been given an understanding of the qualifications that are required to enter a particular field. We require students to sit their English Language (Edexcel), English Literature (Edexcel), and Mathematics (CIE) iGCSEs, and optionally Combined Science (CIE) iGCSE. Other GCSEs are offered upon request, provided that suitable staff with the appropriate qualifications and experience can be found. We will be registering as an examination centre to ensure that our students can sit their GCSEs on our premises, where they will feel most at ease. From age 15 students will be practising with past examination questions, gaining experience in answering questions under examination conditions. Throughout this experience the emphasis is on challenging students to constantly stretch themselves and be the best they can be, going beyond the ‘limits’ of the set iGCSE curriculum. We hold as fundamental the vital importance of meeting each student first and foremost as a whole and unique human being with many different facets, including the spiritual. Subject specialists continue to offer lessons: these are now more explicitly tied to progression through the course syllabus. Each student works with their Guide to prepare a personalised study plan that tracks their progress through the syllabus. The Guide discusses each student’s progress with the teaching faculty, and then meets with the student to help them plan their schedule including scheduling in lessons that they need to progress in their work. The student’s experience up to this point has often taken them beyond the required standard. Most importantly their capacity to be self-motivated and self-directed in their studies allows them to master the course content with relative speed and ease. Students regularly leave the Young People’s Community on day visits to meet with experts in different fields to extend and test out their ideas. Towards the latter part of their time here, these experiences may take the form of internships. Sometimes these are with the view to explore a particular career, but more often the purpose of the placements is to touch and experience the lives of ordinary people and so to come into contact with the adult society they are about to enter. A brief overview of work done in each over the past year follows. The young people write fiction and non-fiction pieces. The focus is on quality rather than quantity. We take a Writers Workshop approach to developing their skill in writing. The Guide helps the young people choose topics and formats to write in and gives craft lessons to build their writing skills. Fiction pieces this past year include poetry and prompts from paintings (e.g. Edward Hopper). Non-fiction pieces include journaling, memoirs, book reviews, arguments and thought pieces. In grammar we have begun sentence analysis through diagramming. 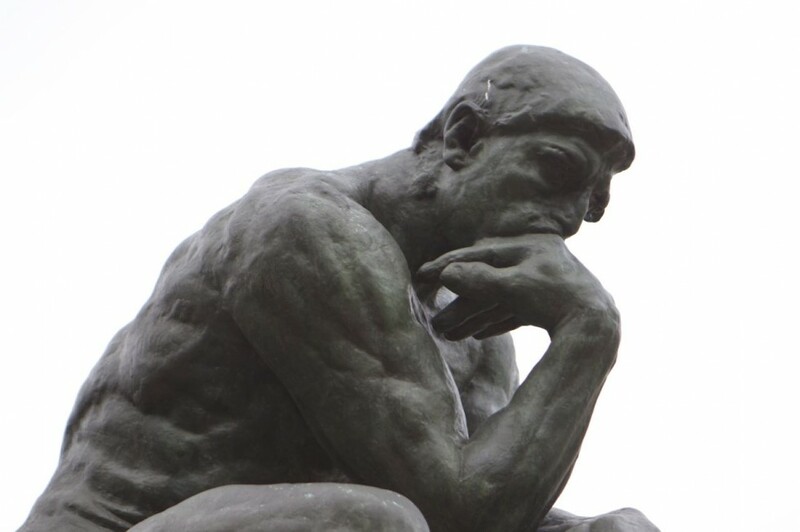 There is much practice in analytical reading through text-based seminar discussions. Debates and drama feed spoken language expression. In geometry, angle study and surface area and volume. In algebra, solving of linear equations, simplification of expressions, multiplying out of brackets, factoring. In statistics, a review of averages and graphing. In arithmetic, a review of basic number theory, moving into standard form, indices and so on. There is much applied mathematics – maintaining accounts for the business, charting sales and profits, graphing temperatures inside and outside the polytunnel, managing the kitchen budget etc. The natural sciences are a significant focus through practical experience. The young people learn through actual experience the depth at which seeds need to be sown, temperature, warmth and humidity needs, mineral needs and so on. They observe first hand how the spinach bolts at a particular time and comment on how difficult harvesting becomes then. They learn not to overwater the cucumber plants so that the roots can reach for water. They learn that the soil on the surface may look dry but the key is to check beneath the surface. They learn how to spread the roots of a strawberry plant out when planting them. They observe the flowers emerging. They observe the bees pollinating the flowers. They observe the petals falling and the ovaries swelling up into fruit. Two students are making a flower calendar – drawing flowers that emerge by month. They take care of the ducks each day and observe their behaviour. They are incubating duck eggs and candling the eggs, taking photographs to trace the development of the embryos. They are able to tell at a glance the difference between smooth and palmate newts. They observe that a disease has struck a beehive and they find out it is chalkbrood illness. They keep mice and study breeding behaviour, and are introduced to genetics. In Chemistry they have learned about elements such as nitrogen and potassium in the soil. They have been introduced to the story of the formation of elements in the stars, and the structure of atoms, molecules and compounds. They have been shown simple experiments in separation of mixtures and compounds. In Physics they have studied dynamics and magnetism. Much work has been done in the social sciences. Recent work includes in-depth research into North Korea, the transatlantic slave trade, animal rights, suffragettes, the abolition of the monarchy, the colonisation of North America, migration of Homo Sapiens out of Omo Kibush in Ethiopia, Victorian paintings as social history, and a workshop on criminal law. Some of this work has been inspired by visits from specialists such as a historian or a barrister. We have had discussions on the Quran, on the concept of Separation of Power, and the origins and practice of democracy. Lunch table discussions tend to be topical and political – be it constitutional changes in Turkey, the right-wing threat in France, or the unrest in East Asia. The young people have been introduced to a wide range of artistic techniques. From soapstone carving and linocut, to batik, wax on silk, tie-dye, 3D drawing, and clay. Artists have come to share with us their work in textile and electronics, and in natural dyeing. The young people have sold some of their artwork, and have brought much beauty and love to their decoration of their work, study and living spaces. In music there is a strong interest in music technology where much progress has been made. Lessons have been given in music technology, guitar and piano. The young people put on a performance of The Twits for Christmas. In the summer term we had a Shakespearean actor as artist-in-residence: Jesse Bertron, who teaches poetry at Vanderbilt University in Nashville, USA. He helped the young people put on a performance of Midsummer Nights Dream, which they performed to a sell-out audience (the benches were full!) at our annual camping weekend in July. Even the 3 year olds sat riveted through the hour-long performance – high praise indeed for our Shakespearean troupe. Basketball, football and tennis have been some of the sports we have practiced this year. Self-expression through running games has been popular. We will give attention to developing our sports programme next year.